It's got the hood and (integrated) fender flares of a GT3RS (sans vents/grills). And you get to have the hips of the GT3RS (again sans vents). You get the design previously exclusively reserved for an upper echelon (best of best) model... what's not to like!? To say it's business as usual though, is missing out on how different it is (don't let the extremely evolutionary exterior fool you). Not everyone wants to be stuck with a mandatory downsized turbo and a luxury car-tech gimmick interior. Some will, as horsepower and technology will be their leading guides, but to some, those two elements- especially together, are enough to think that the 911 is not exactly "the 911" that they always desired. If so, they simply won't buy it, and those who do will, etc. etc. As for design, I agree, not much not to like. I mean, IT LOOKS LIKE A 991! But we're 911 purists, so it comes with the territory that we'll dissect and nitpick every exterior detail (as we SHOULD! That attention to detail and fanaticism is what built the 911). I'm not sure I understand what a Porsche 911 purist is - 901, 911, 912E, 964, 993, 996, 997.1, 997.2, 991.1, 991.2 and the forthcoming 992. The 911 "range" encompasses everything from water cooled, inline 4s, air cooled, turbocharged, targas, cabs, AWD, coupes etc. The 992 simply continues the trend. I think everyone has their line on what "911 purity" means to them. Though no one in their right mind wouldn't say that every generation of the 911 gives up some "purity." For some, it was air cooled. After that, no 911 did it for them. Some think moving the engine too close to the middle is the crossing the "purity line" (it will go even more middle for the 992), some think the interior of the 991 is too isolated and plush (the 992 will be like a tech-sofa in comparison). Some think an auto transmission crosses said line. Some think discontinuing N/A i.e a turbo is that line (currently, where I stand). Some will think a Hybrid will cross that line. 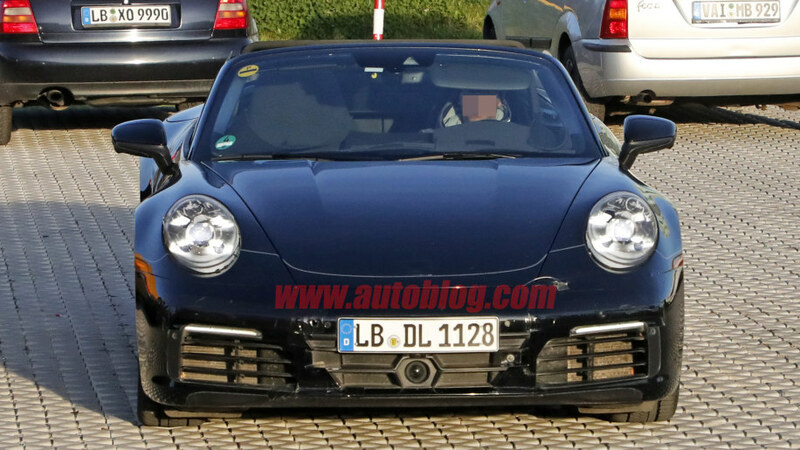 Some think the 911 wheelbase crosses it (and the 992 wheelbase will probably be longer), etc. etc. Starting in 2016, 911 sales are down considerably in U.S and going to China. Even with the GT3 being added last year (and selling purportedly in record GT3 numbers), .2 Carrera sales were down enough from the previous (already declined) year that total 911 sales were flat. Which is simply a factual statistic. Chinese markets like quieter, softer, more tech savvy. To compensate for this, cars also get blisteringly faster. The 911 for the first time is being built with the Chinese market as a focal point in mind. A market which has no blueprint of 911 heritage or "purity" etc. So a lot is riding on the 992 in the U.S market. Will it have a meaningful uptick in sales that can last for more than the intro year/s? Does Porsche want to adapt to said trends and transform the U.S 911 into something more exclusive, and give more allocations to China to fill said volume quota? To me, it'll be interesting to witness. In my mind "purity" refers to the base model not the configuration of it. The 911 has been around a long time in many guises, it will be around as long as there is a market for it. Its pretty obvious that Porsche has flexed and changed through time, for example the GT3 didn't exist until the 996 (1998). A pure line doesn't exist, just a general concept (strategy) e.g. a two door car with the engine located more towards the rear than the centre. The models (tactics) are largely successful because the strategy was effective in the first place. I don't see the 992 as anything other than evolution, the US market will be fine with it - at the end of the day Porsche has to deliver all round performance in a competitive market place. The Morgan business plan is not something Porsche is going to buy into. For me, the relative simplicity behind the new Carrera T ethos was perfectly timed. Especially if, as some journalists are writing, the next GT3 will be a 3.8 turbo engine. The first 911 I was aware of was my father's 1973.5 T (Tangerine). My earliest car memories are of that car. When it was totaled, he got a track prepped '83 SC coupe. What a beast. Same sound, but I remember it was *much* nicer inside (silver over burgundy leather) - and *much* faster. Then in 1990 he sold the SC and bought a new (17 miles!) 1990 C2 Cab (which he has today) - diamond blue metallic. Almost a luxury car in comparison. I bought my first 911 after grad school, a 1995 993 C2 Coupe (Polar Silver) and after sorting out the (way to soft!) suspension, euro M030, it was still light years away from that '73 T. Each iteration has been better, but less "Raw". Has always been so. I've always liked the lines of the 991 (I didn't care for the 996 or 997 shapes), but only the GT3 interested me from an enthusiast standpoint - and I just couldn't couldn't afford the buy-in or running costs on a GT3. When I heard about the Carrera "T" this fall - it ticked all the boxes for me -- the lineage back to that first 911 I remember -- the enthusiast details (strap pulls, lightweight glass, short shifter) - the everyday utility. Yes, it will be even less "raw" than my 993. But it will be special in that way that all 911s are. The 992 is likely to be another step forward. Digital instruments are more reliable (no moving parts) - and design, as ever, will appeal to some and not others. What I love about Porsche is that they are always moving the bar. They listen to their customers (though not always as fast as some would like). They don't lose sight of their history and try to live up to it. They do this in a hyper-competitive global auto industry. And they more often than not get it right. I think reliability wise - yes - they are documented by numerous companies to be way more reliable in the field than analog gauges (which aren't cheap to replace/repair either). ~Now I'm 100% with you that these things all look dated a in a few years~ -- which is why I *vastly* prefer analog gauges - even if they're less reliable.